At this point of the year, I am able to let students take even more control in level 2. They are starting to become more confident in their abilities, and they know what I expect of them when we complete activities. Now, it is time for them to take the reins! Some of my favorite technology tools that I use to help support and navigate students can also be used for them to discuss their own learning. One of my favorite tools for interpretive listening is EdPuzzle. In EdPuzzle, the teacher adds their own video or a video from YouTube to the platform. Then the teacher inserts questions or notes about the video. As students are listening to the video, the video stops and EdPuzzle asks the question. If it is a multiple choice question, they can receive direct feedback. With open-ended questions, the teacher can go back and add the feedback. This platform is perfect for novices. The teacher can provide support via notes and can draw attention to the specific area where the question is located. In addition, the student can replay the section that as many times as they like. This helps differentiate the video for each student. However, did you know that you could assign a student project in EdPuzzle? Instead of “creating” a video, you can create a student project. To start the project, I gave students a choice of three different videos to annotate. You could try to allow students find their own video, but since it takes me a long time to find a suitable video, it would take students an extra long time to do so. You could also consider letting them choose a picture from a YouTube channel that you decide for even more choice. For example, I enjoy Paco Nadal’s travel videos. He featured a good video on a market in Colombia which would be perfect for a food unit. For more food videos, you could look at cocinemosjuntos channel. Once the students decide on their video, they can put it into their EdPuzzle project. The students put one of the videos into their project, and they can add notes, questions or audio notes. Instead of me deciding what they should know, the students told me exactly what they understood. Many teachers use Kahoot or Quizizz to review topics in class. Both websites allow teachers to put in multiple choice questions about any topic in Spanish. You can also insert pictures or videos and ask questions about them. Another big plus for these programs is that you can find other questions or games that other teachers have made. These games both require teachers to insert the questions and really only require students to answer the multiple choice questions. If you are a fan of the online games Kahoot or Quizizz, your class will enjoy Triventy to allow the activity to be more student-centered! 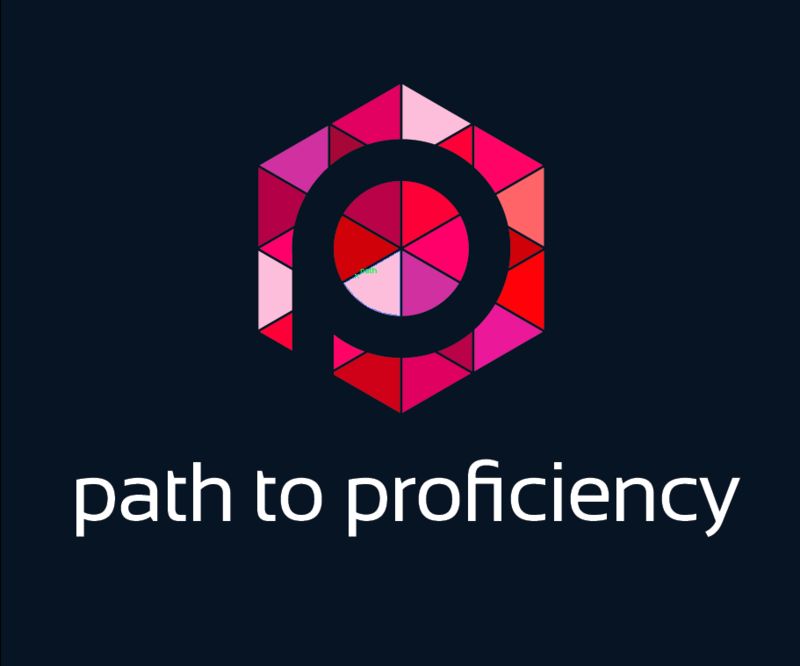 With Triventy, you can create an open game, and students can log in to add multiple choice questions. When you create a game, you select “invite” students. This will produce a link that students can follow to add questions. All students can collaborate on the Triventy quiz at the same time. They can even add poll questions for the class. You still have the ability to edit the questions on your end. Once they are done, you start the new game and students join the game with a code- just like a traditional Kahoot/Quizizz game. To use this in class, you could have students read or listen to a selection. Once they have done this, students could create their own questions: key vocabulary, true or false questions about the content, purpose of the selection, audience etc. Students love seeing their own questions pop up, and I enjoy seeing their clever answers. Finally, I also enjoy using Seesaw which is an online learning journal. As students write throughout the year, I have them add their writing to their online journal. Each week in my class, I give students a variety of topics to write about; however, they are always free to write about whatever topic they like. This helps students develop personalized vocabulary. Some of my favorite topics include: what sport would you play in the Olympics, plans for a snow day, invent a new food and describe what makes you happy. Many times when journaling, students will look up important words such as the instrument that they play to use that in their writing. Then they remember those words as well because they are important to them. Students can also personalize their Seesaw journal by adding a picture if they choose. Once they publish it to Seesaw, I approve it before it is added to their class feed. In the class feed, other students can read and comment on it, and I can comment on it as well. This can give their writing an audience. Not only can students talk about a topic that they choose in the target language, I can learn more about each student when I read it. This point of the year is the perfect time to let students really prove what they have learned from you. 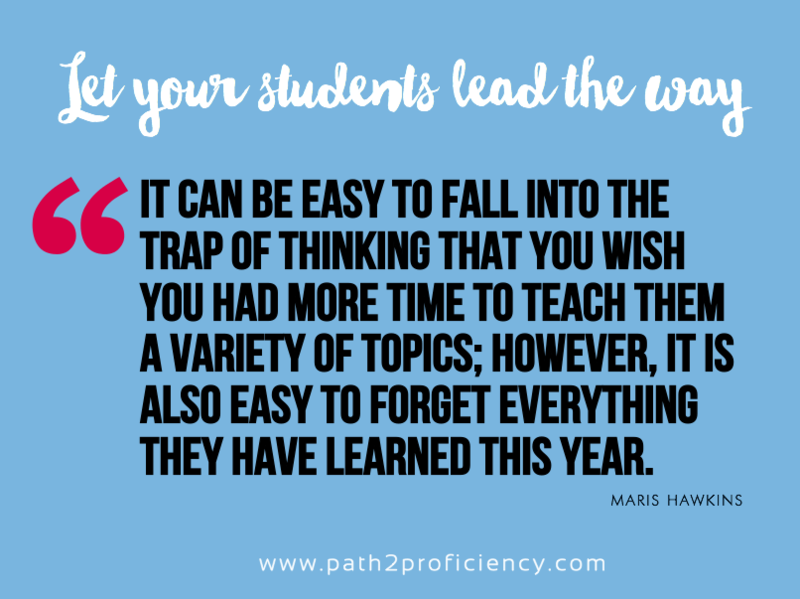 It can be easy to fall into the trap of thinking that you wish you had more time to teach them a variety of topics; however, it is also easy to forget everything they have learned this year. Give students the opportunity to present and share what they understand, and I know that they will impress you.